Over a third of global protected lands are facing "intensive human activity." Good news: About fifteen percent of the planet’s landmass is designated as a protected area where threatened wildlife should be able to live free of disruption. Bad news: Humanity seems to have missed the memo. Over a third of the land officially designated as protected is facing “intensive human activity,” according to research published today in Science. That means that allegedly-preserved areas — so designated for their crucial role as habitats for endangered or threatened species — are being damaged. By tourists, loggers, developers, miners, farmers, and all other sorts of people who have decided to leave their mark. In fact, the only protected areas that aren’t facing human-induced devastation are those far from human habitation, according to the new research and existing work to analyze ecosystem health. So, congratulations everyone — we haven’t screwed up northeastern Greenland (yet). In an article that they wrote for The Conversation, the researchers call for conservationists to hold national governments accountable, while also demanding transparent, honest assessments of areas crucial for biodiversity and a functioning ecosystem (but subject to the whims of political and economic leaders). The protected areas that face the worst human-related damage are the ones given their “protected” designations before the 1992 Convention on Biological Diversity. 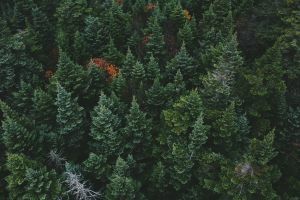 Those regions were likely to be smaller pockets — ecological “islands” — of preserved space that don’t accurately reflect and meet the needs of the plants and animals who live there and may be cut off from nearby populations as a result. Also, the areas that were protected before 1992 were subject to weaker and more lenient rules. Over half of these areas have faced growing pressure from human activity, according to the new research. Meanwhile, areas protected after the Convention on Biological Diversity was ratified have fared somewhat better. Of note: Many of those areas encompass larger expanses of land than the ones to receive protection before them. What’s all this mean? Above all else, it means we need to impose stricter rules on ourselves, because we just can’t seem to keep ourselves from screwing up the planet at every turn. Calling something “protected” isn’t enough — we have to enforce laws around it. If we viewed damage to the planet’s protected areas the same way we viewed damage to one’s property or home, people might be more reluctant to engage in environmentally-damaging behaviors. And after all, what’s the planet — for now — if it isn’t our home?